A total of 94 National Democratic Congress (NDC) Members of Parliament, out of the 106, have endorsed former President John Dramani Mahama to lead the party in the 2020 elections. According to the leader of the 94 MPs, Edwin Nii Lantey Vandapuye, John Mahama is the only candidate who can lead the party to victory in the next polls. Speaking to the media on the sidelines of an event to rally support behind Sammy Gyamfi as NDC National Communications Officer, Nii Lante Vandapuye said John Mahama will surely wrest power from the NPP. He explained that they have decided to endorse John Mahama because a lot of Ghanaians want him back. “The grassroots of this country, the majority of Ghanaians are crying for John Dramani and as such it will be wicked on our part not to listen to the plea and cries of Ghanaians by giving them who they prefer. So we are bringing back John Dramani Mahama and we are very sure in our minds that Ghanaians will this time accept him and overwhelmingly vote for him to become the next president in Ghana in 2021,” he added. The NDC is expected to select its presidential candidate in September 2018. Although some members of the party have already declared their intentions of contesting the position, John Dramani Mahama is yet to declare his interest. 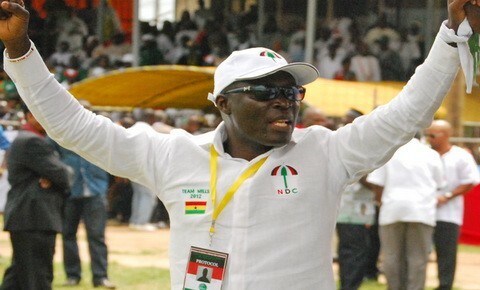 Several members of the NDC including Nadowli-Kaleo MP, Alban Bagbin, Dr. Spio-Garbrah, former NHIA boss, Sylvester Mensah, Joshua Alabi, former MP for La-Dadekotopon, Nii Amasah Namoale among others, have given indications they will contest the flagbearership position in the NDC. The 10 Regional Chairmen of the NDC in 2017 backed the candidature of John Dramani Mahama for election 2020, even before the latter announces his intentions. The ten regional chairman after a meeting at the time issued a communique in which they urged the former President to consider running for the 2020 polls.